Cones up and dive mouth first into this year's biggest ice cream extravaganza! 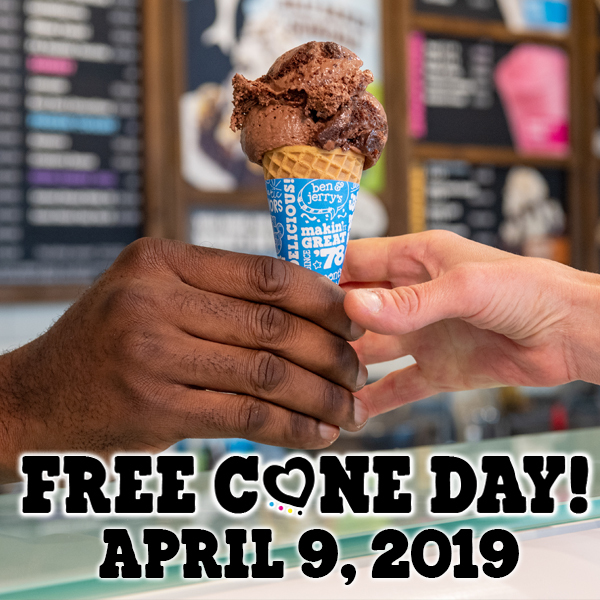 Thousands of scoops of Ben & Jerry’s chunky, swirly, Fairtrade ice cream will be given away at cinemas and Scoop Shops across the UK on Tuesday 9th April during the company’s annual Free Cone Day celebrations. Ben & Jerry’s yearly thank you to their fans is back! Selected Scoop Shops will be offering the chance to enjoy a scoop of any flavour on the menu, including their latest and lightest creation Moo-phoria Chocolate Cookie Dough, and Scoop Shop exclusives like Cherry Garcia. Ice cream lovers who find themselves in a cone-undrum over which flavour to choose can simply get back in line a second (or third, or fourth!) time. What’s more, this year, for the first time ever you can even get some Free Cone Day spirit delivered straight to your door – with a free ‘Wich (chunky and swirly ice cream, top and bottomed with cookies), with all Ben & Jerry’s delivery orders from their nationwide ice cream stores through selected delivery partners. 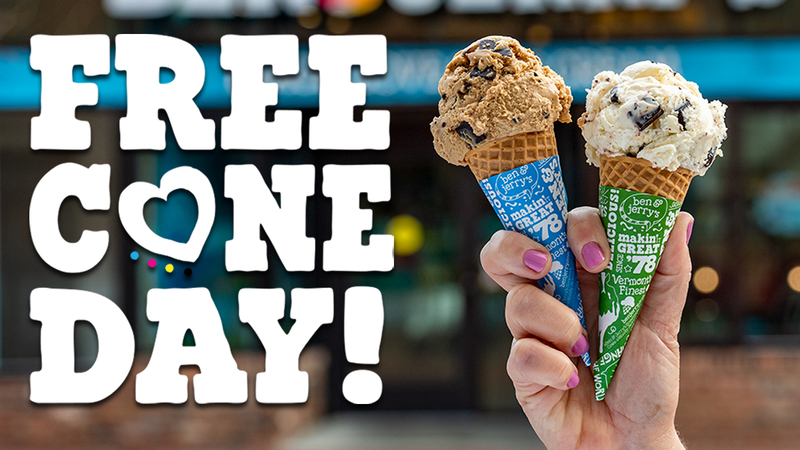 To find your nearest participating Scoop Shop, visit the Ben & Jerry’s website, and while you’re waiting for the big day why not try Ben & Jerry’s quiz to find out which flavour you should try scooping up this Free Cone Day.